July | 2018 | COMMUNITY ACTION ALLIANCE FOR NSW (CAAN): HOUSING INEQUALITY WITH AUSSIES LOCKED OUT! An aggressive, well-funded federal anti-corruption commission could pursue corruption that escapes the notice of the state-based anti-corruption commission, or the patchwork of other enforcement agencies, which are mostly under-resourced. Sanction busters … Millions of dollars were paid to Saddam Hussein’s regime. Here are five scandals that might have appeared on its radar. The Australian Wheat Board (AWB) paid hundreds of millions of dollars in kickbacks through the late 1990s and early 2000s to the regime of Saddam Hussein to continue wheat sales, contrary to trade sanctions against Iraq. Allegations were made about the payments, including some from the monopoly wheat trader’s competitors. Australian authorities took no action to investigate, even though AWB officials later claimed the payments were well known to the Australian government. When troops later entered Baghdad in early 2003, they found documents revealing the AWB’s activities. A Royal Commission, established in 2005 on what Labor described as “narrow” terms of reference, acknowledged the existing system had failed to ensure compliance with the sanctions, but found no fault with the actions of ministers. Some of the polymer notes printed by Securency. In 2007 a whistleblower first raised concerns about international banknote deals by the Reserve Bank of Australia subsidiary Note Printing Australia (NPA) and its sister company Securency. An internal audit, and an investigation by lawyers Freehills, found no illegality, nor any need to act. Despite a string of media revelations of payments, including in Malaysia, Vietnam and Indonesia, the corporate watchdog ASIC failed to investigate. Finally, the Australian Federal Police investigated and in 2011 charged Securency and NPA with conspiracy to bribe. Individuals were also charged. The third biggest spender was Alexander Downer and his team in London. Following 2004 negotiations between the Howard government and East Timor over Timor Sea oil and gas revenue, the East Timorese alleged Australian security agencies bugged the East Timorese cabinet room. Woodside Petroleum was working closely with the Australian government at the time. An ASIS operator became a whistleblower after learning that former foreign affairs minister Alexander Downer had become an adviser to Woodside Petroleum on his retirement from politics. East Timor launched an international legal challenge, and intended using the ASIS whistleblower as a key witness. But ASIO raided a lawyer’s office and cancelled the passport of the retired ASIS operator. The case – yet to be heard – raises questions about whether the Australian security services should be subject to greater investigation for improper behaviour. Australia’s notoriously lax political financing laws allows anyone, local or foreigner, to donate any amount of money to anyone they choose. Only donations over $13,200 need be disclosed. The Australian Electoral Commission is renowned as a toothless regulator. Allegations, therefore, are rife of improper campaign funding and lack of transparency, especially in the cases of the Liberal and Labor parties. Recent controversies include: the funnelling of taxpayer money to the Liberals via software company Parakeelia; revelations of Labor leader Bill Shorten’s failing to declare business contributions to his 2007 campaign; a $100,000 donation from the Chinese Yuhu Group to then trade minister Andrew Robb’s fundraising entity the day he clinched the China Australia free trade deal; donations to federal Liberal party MPs by alleged mafia bosses; masking of banned property developer donations to the NSW Liberal Party via a third party at the time Senator Arthur Sinodinos was party treasurer. In May 2016 Fairfax Media revealed a network of Australian border security officials allegedly working for organised criminals, including drug and tobacco smugglers, potentially the most serious corruption scandal to hit Australia’s border agencies. But the revelations were also the latest in a string of such stories. The alleged corruption involved staff from the Australian Border Force and the Department of Agriculture, and maritime industry employees. It highlighted deficiencies in the federal government’s policing of its own agencies and, in particular, the under-resourcing of the little-known crime and corruption watchdog, the Australian Commission for Law Enforcement Integrity. It is no secret real estate has a great attraction to investors. But contrary to high profile discussion in some quarters of the public and mainstream media, in recent times a significant portion of this investment is being funnelled towards commercial real estate rather than residential property. That’s only part of a much broader diversification. According to a joint report published by KPMG and the University of Sydney, the once clearly favoured mining and energy sector which accounted for 70 per cent of Chinese foreign direct investment (FDI) in Australia in 2010 accounted for less than 18 per cent in 2014. Chinese investment in commercial real estate quadrupled to $A4.37 billion in 2014, almost half Chinese FDI in Australia. Aside from commercial property, there is growing interest by Chinese capital in opportunities in Australian agribusiness, infrastructure, leisure and retail, a trend likely to continue into the future. With China increasingly diversifying its own economy over the past decade towards higher end manufacturing and increasingly sophisticated services, its global investments appear destined to diversify in tandem. Several factors are behind this renaissance of Chinese interest in industries outside of resources. The slowing domestic economy is pushing Chinese businesses offshore to diversify their risk profile. Australia is the perfect destination because of its geographic proximity, transparent regulatory environment and low funding cost. In a recent report released by National Australia Bank and University of Technology Sydney it was found Chinese business leaders regarded Australia as the most favourable place to do business while its economic importance was second only to the US, beating Britain, Russia and Canada. The China Australia Free Trade Agreement (ChAFTA) also encourages more investment from China into Australia. Inbound private Chinese investment proposals below $A1.08 billion will no longer require Foreign Investment Review Board (FIRB) approval, except in so-called sensitive sectors like agriculture where the new thresholds are $A15 million for land and $A53 million for agribusiness. Australia has a world class reputation for high quality, clean and green food products. To Chinese investors this is particularly attractive as food safety is a perennial concern for consumers amidst scandals related to health concerns in recent years. The growing middle class is willing and able to pay a premium for peace of mind. Treasurer Scott Morrison’s recent decision to block the sale of land holding and cattle company S Kidman & Co to a Chinese bidder Genius Link Group is unlikely to deter the enthusiasm of Chinese investors. Jeff Turner, trade commissioner of Austrade in Chengdu told The Australian Financial Review there are as many as 300 Chinese cattle and cattle-related companies looking to invest Australia. Genius Link Group’s founder Joel Chang says Australia is popular with Chinese agricultural investors for its clean environment, its reputation for quality produce and more. “We see Australia as the food hub for the Asia-Pacific region. If you look at the region, from south-east Asia to Korea, Australia and New Zealand are the only two that have export capacity,” he said. The Beijing Australia Agricultural Resource Cooperative Development Fund was founded in September 2014. It is a joint partnership between state-owned Beijing Agricultural Investment Fund and the Shenzen-based Yuhu group. The $A3 billion fund is specifically set up for investment of Australian Dairy products. For the dairy industry back in China, the market likes the product from Australia and it seems it cannot be easily substituted by other countries’ products. The recent abolishment of the one-child policy is also a huge boost for Chinese investors looking for quality Australian foodstuffs that can meet anticipated higher future demand if a baby boom eventuates. Whilst the granting of 99-year Port Darwin lease worth $A506 million to privately owned Chinese company Landbridge has created international controversy, many other large and experienced Chinese companies have also shown genuine interest in investing in Australian infrastructure. State-owned funds and enterprises are more interested in engineering and infrastructure deals for strategic purposes of replicating and utilising the technology and knowledge of those projects back in China. Three major infrastructure deals accounted for 20 per cent of the total 2014 investment value. This include the acquisition of John Holland by CCCI for an enterprise value of approximately $A1.5 billion, followed by a $A1.75 billion deal to secure a 98-year lease on the Newcastle Port by China Merchants Group and Hastings Funds Management. The experience with Newcastle suggests Darwin may have been an exception to the rule of smooth and uncontroversial approval for Chinese consortia in Australian infrastructure. However, recalling the blocking of Huawei Australia’s participation in the NBN and the bitter fallout is equally indicative political sensitivities will continue to hamper investment in certain cases. For the first time, there has been a material investment in the leisure and tourism sectors from China led by the $A1 billion acquisition of Hoyts Group by ID Leisure International Capital in 2014. Due to popularity of golf amongst the elite class in China, Chinese groups have spent over $A400 million in the past two years for some of Australia’s most ­notable courses. Hong Kong based GH Properties has spent more than $A50 million in the past two years buying the Links Hope Island and Noosa Springs golf courses in Queensland. Members of GH’s Dragon Lake course in Guangzhou have reciprocal membership to GH’s Queensland properties. A key Chinese advertising and media company, White Horse Group, recently bought Queensland’s Lindeman Island for $A12 million, committing to convert it into a golfing retreat and resort. In 2014, 12 per cent of Chinese direct investment was recorded in the leisure and retail sector of Australia. This shift of focus is well fitted into the domestic reorientation towards social consumption and consumer oriented services according to the KPMG and University of Sydney report. Chinese investment in Australian property will remain strong regardless of any heightened FIRB requirements. The appetite to investment in new and existing Australian infrastructure is also evident as more Chinese companies are interested in the anticipated increase in government asset sales in Australia over the next few years. The relaxation of labour mobility under the ChAFTA (Chinese infrastructure projects above $A150 million will be able to use Chinese labour if the skill are not available locally) will only be the icing on the cake. Reserve Bank of Australia governor Glenn Stevens said in July markets need to brace for a world where China invests $A400 billion a year offshore. The vast opportunity available for Australia has only just emerged. At the time, Mr Robb was negotiating both ChAFTA and the 12-country Trans-Pacific Partnership. Mr Robb has a long relationship with Yuhu and its chief Xiangmo Huang. He met with Mr Huangand other senior company executives in Hong Kong in March 2014 to discuss trade and economic co-operation, and to hear Mr Huang’s view on the obstacles to Chinese enterprises in Australia, such as working visas and foreign investment restrictions. Mr Robb also endorsed Yuhu’s $2 billion investment in Australian agriculture in a joint-venture with a Chinese state-owned enterprise at its launch on September 15, 2014. According to AEC disclosures, Chaoshan No 1 Trust (of which Mr Huang is a director) made a $50,000 donation to Bayside Forum two months later, on the same day ChAFTA was finalised and details announced by Mr Robb and then prime minister Tony Abbott. Another $50,000 donation to Bayside Forum, this time by Fu Ocean Pty Ltd (whose director Zhaokai Su is reportedly Yuhu’s office manager), was undated. And two months after the Hong Kong meeting, $30,000 was donated to the New South Wales division of the Liberal Party. It is illegal for property developers to donate to the NSW branch, but a loophole permits it if the funds are intended to contribute to a federal campaign. The free trade agreement, which came into force on December 20, 2015, has been criticised by the opposition and unions for threatening Australian jobs – particularly a provision that allows Australian-registered companies with 50 per cent Chinese ownership to bring in Chinese labour to work on infrastructure projects of $150 million or more. Mr Huang and his associates have donated millions of dollars to the Labor and Liberal parties over recent years, and in 2015 stepped in to pay a legal bill on behalf of NSW Labor reformist and fixer, Senator Sam Dastyari. Mr Robb was Mr Huang’s guest at the Melbourne Cup in 2013, when Mr Huang also presented the trophy. Mr Robb reportedly attended Mr Huang’s daughter Carina’s wedding in Sydney in January 2016, as did Opposition Leader Bill Shorten. As trade minister, Mr Robb also attended the “Yuhu 2015 Giving Day” on February 6, 2015, held in part to celebrate Mr Huang’s election as President of the Australian Council for the Promotion of Peaceful Reunification of China. That organisation’s activities include hosting Chinese government officials in Australia and lobbying against independence movements in Taiwan, Hong Kong and Tibet. At the time of the donation, Mr Robb was still negotiating the Trans-Pacific Partnership – a 12-country trade deal which does not include China or Taiwan, but that Taiwan had sought to join. On February 1, the NSW branch of the ALP revealed its biggest donor, Eng Joo Ang, had given $110,000. The next day Mr Eng told media he couldn’t recall it and later that he had not made the donation. On February 12, a late return was quietly published on the AEC periodic disclosures as an “update”. Mr Robb declined to answer Fairfax Media questions about Bayside Forum’s protocols for handling potential conflicts between fundraising sources and his responsibilities as a minister. “There were absolutely no conflicts of interest,” he said. Mr Huang was contacted for comment but did not respond. Meanwhile, the Victorian Liberals received $15,000 from the China Australia Media Group, believed to be an arm of the Chinese government. The group has twice been outed for hiring Western journalists at news conferences to ask soft questions of government ministers and officials with the aim of spreading Chinese propaganda. Chinese property developers have also emerged as generous supporters of political parties. In 2013-14, a pair of Brighton property investors with import-export interests Jianping Fu and Min Zhang, donated $200,000 to the Victorian Labor party. Melbourne-based property developer the Ever Bright Group donated $200,000 to the federal Liberal party and Glen Waverley developer Jiandong Huang donated another $100,000. Richard Gu’s AXF Group, whose development projects include a massive 5500-home project in the city’s west, donated $150,000 to the Victorian Labor party. ZJF Investments, a company owned by property developer Zheng Jiefu (who sought refuge in Melbourne after facing embezzlement charges in China), donated $20,000 to Labor’s state branch. Both AXF Group and ZJF failed to make their own donations disclosures to the AEC. Fu Ocean disclosed its $30,000 contribution to the NSW Liberals, but failed to disclose the $50,000 Bayside Forum donation. The AEC said it was following up outstanding returns. Governance expert Ken Coghill says foreign donations to Australian political parties should be illegal, as they are in many countries including the United States and Britain. “The Australian political process ought to be something that is not manipulated or distorted by foreign interests,” says the former state Labor MP, now director of the Parliamentary Studies Unit at Monash University. “Yuhu Agriculture Investment Pty Ltd is a foreign subsidiary of Yuhu Group which is a large scale investment company based in Shenzhen China. It is involved in property development and management, hydropower station development and trade logistics. DAIRY investment in Australia will be the focus of a $3 billion Chinese agricultural fund, announced today. The Minister for Trade and Investment Andrew Robb told the inaugural Australian Dairy Farm Investment forum about the deal, to be signed today in Melbourne. Called the Beijing Australia Agricultural Resource Cooperative Development Fund it will be jointly initiated by the Beijing Agricultural Investment Fund and Yuhu Agriculture Investment Pty Ltd. The new joined fund is aiming to focus on the investment of Australian Dairy, particularly infant formula, beef, lamb, seafood and other agriculture products. It is planning to invest $3 billion capital in various projects in Australia. The fund will supply Australian agriculture products and services to the people of China. It will reinforce foreign investments between the two nations and provide a new stage for its cooperative trade opportunities. Beijing Agricultural Investment Fund was founded in September 2009 and was the first professional investment fund in the agricultural industry in China. It was initiated by state-owned Beijing Capital Group. It owns and manages 25,000 premium cattle in five farms around China and supplies milk to the leading Chinese dairy manufacturing and distribution companies such as listed Yili Group, Mengniu Group, and state owned Sanyuan Group. Yuhu Agriculture Investment Pty Ltd is a foreign subsidiary of Yuhu Group which is a large scale investment company based in Shenzhen China. In the past two years, the Australian arm has gained adequate knowledge on foreign investment, and is now moving to the prosperous agriculture industry with the high demand from Chinese market. CHINESE investment in Aus­tralian agriculture is set to boom, with the Chinese-government owned Beijing Agricultural Investment Fund yesterday committing to spend $3 billion on Australian dairy, beef, lamb and aquaculture assets. The announcement, witnessed by federal Trade Minister Andrew Robb in Melbourne, ­establishes the Beijing Australia Agricultural Resource Co-operative Development Fund in a joint venture with Yuhu Agriculture Investment. Mr Robb told the inaugural Dairy Australia Investment forum that the fund was particularly keen to invest in local dairy farms and dairy processing, with a focus on producing and exporting powdered infant milk formula to China. In a separate move, it was also revealed that a private Chinese company had bought the vast ­Elizabeth Downs cattle station in the Northern Territory from ­National Gallery of Australia president and leading barrister Allan Myers QC. With the Chinese bidder paying about $12 million for the 205,000ha of land, the deal will not require sign off by the Foreign Investment Review Board, as it falls below the $15m mandatory approval threshold. The Chinese company also bought the 9000 head of cattle on Elizabeth Downs, located two hours’ drive southwest of Darwin, for an estimated $7m. It is believed to be the first investment by a Chinese buyer in the northern Australian cattle industry, with Asian demand for beef expected to jump in the near future with the opening this month of a $91m abattoir near Darwin. However, it is understood the buyer of Elizabeth Downs, who owns golf courses and hotels in Australia, hopes to maximise the property’s investment potential by developing irrigated cropping and tourist facilities alongside the cattle operation. The moves came as Barnaby Joyce told Chinese producers that Australia’s farmers would pose no threat to their livelihoods if the two countries were, as expected, to sign a free-trade agreement by the end of this year. Mr Joyce, on his first tour of China as Agriculture Minister, is leading a delegation of almost 40 industry figures who stand to bene­fit if an agreement is signed. In Harbin, in China’s northeast, yesterday for the start of his tour, Mr Joyce said Australia could never become “Asia’s food bowl” simply because of the size of each nation’s population. “We are not a threat to China; we will produce premium products to the people of China and they can be reliant on the fact that Australia does not have a hope in Hades of feeding the Chinese population, not even a portion of it,” he said. “If we were to use all of our production, we could not feed just Australia and this province alone, we would run out of food. “The reality is that Australia feeds about 60 million people at the moment (including exports). Even if we double that to 120 million people, we would not feed even half of the population of our nearest neighbour, Indonesia. Australian farm fresh milk is now available in supermarkets in China. The Federal Government has promised a competitive free trade deal for Australian dairy farmers. It will focus on supplying produce back to China, especially infant milk formula, beef, lamb and seafood. Australian Trade Minister Andrew Robb has welcomed the fund, saying it’s a strong signal from the country’s largest export market for agricultural produce. “It’s a great signal that the Chinese investors are looking, in a fairly significant way, to position themselves in Australia, and they are doing it in a sensible way,” Mr Robb said. He says negotiations on a free trade agreement with China are progressing and he’s confident a deal can be achieved by the end of the year. “These things are very complicated. There are, for instance, 11,500 individual tariff lines that have to be negotiated. A lot of that work is done. “But as always, with any negotiation, the really big important issues invariably end up in the final stages of the negotiations. Mr Robb has given Australian dairy farmers an assurance that he is aiming to get them an equal footing with their New Zealand competitors, who finalised a free trade agreement with China several years ago. He acknowledges that the New Zealand dairy industry has had a huge advantage over the Australian industry, by already having a trade deal in place with China. “We’ve seen a $3.7 billion increase in revenue to the New Zealand dairy industry since their free trade agreement came into force four years ago. Several Chinese investors attended a dairy investment forum hosted by Dairy Australia in Melbourne this week. Amy Qiao, of Esson International Investment group, says her company owns farms in China milking 10,000 cows and is keen to expand into Australia. Ms Qiao says Australia is popular with Chinese agricultural investors for its clean environment, and its reputation for quality produce. She says there is a huge and growing market for dairy products in China. “Traditionally, my fellow people, we don’t consume a lot of dairy products, but recently we all realise how important dairy is for people’s health. While Chinese investors, like Ms Qiao, are in Australia looking at farms, an Australian real estate company has headed to China to find buyers for Australian farming properties. They are hoping to sell properties ranging from a single vineyard in Victoria for just $1 million to a large dairy business in Tasmania for $120 million. It’s the second time real estate group Landmark Harcourts has showcased rural properties in China. The group’s director of China business development Jason Hellyer says they’ve learnt a lot about what Chinese buyers want. “Fundamentally, most Chinese investors that we’ve currently met with, this is a bit of a generalisation, don’t really have any intention of flying out here and building a house and living here and running the property themselves. The AEC annual political party returns show a clear pattern, writes Sydney bureau chief Ross Jones: offshore connections, big banks, shadowy foundations and a conga-line of minor, yet substantial, donors, all with their hands out. IF YOU WANT to see the true face of Australian democracy, you need look no further than the Australian Electoral Commission’s political party annual returns for the financial year 2013-2014. That’s the period from 1 July 2013, when Labor were in power, to June 30 2014, when they weren’t. Some of the numbers are very big, others are only terrifying. Let’s have a look at the top few on both sides. Its Federal arm grossed $40.1 million, spent $33.5 and had debts of only $180,000. The main revenue source, $20m, was from the AEC for its per vote $ refund. Its biggest private donor was a chap called Zi Chun Wang who tipped in $850,000. Presumably for insurance purposes, Kingold gave $100,000 to the Libs as well. The Shop, Distributive & Allied Employees’ Association chipped in $500,000. Then there are the branches of course, all with their separate disclosures. All up, across the whole party, a chap called Jingui Xu donated $400,000 to Labor; another chap called Wencheng Guo $100,000; the Yuhu Group $100,000; Zhaokai Su (Ken Su) $70,000 and Luo Chuangxiong $50,000. A host of smaller Labor-linked bodies also gave similar amounts. The Liberal Party nationally out-grossed Labor at $43 million. But, in classic Liberal fashion, it spent $46 million and racked up a net debt of $4.1 million. The Libs scored $25m from the AEC, but its biggest donor, our old friends the Cormack Foundation, handed over $1.5m; and another of our old friends, the Free Enterprise Foundation, found a further $1.25m. Nimrod Resources, an unlisted miner owned by Paul Marks – whose fabulous birthday soiree Tony Abbott controversially flew to recently – topped the others list with $500,000 — followed by a long list of corporates with $100,000 plus. LIBERAL donor Paul Marks signed a mining deal with a Chinese Government company in front of Prime Minister Tony Abbott and Chinese President Xi Jinping. Interestingly, the Senator M Cormann LP Campaign Fund found a spare $80,000. Like the ALP, the L-NP has branches. But these are on another level. The NSW Division enjoyed revenue of $19.6m, but suffered expenditure of $20.5m. It carried a debt of $3.4m. That’s $7.5m in Liberal Party debt so far. And a $3.9m loss. But with backers like Westpac, which tipped in $2m, who cares? The Victorian Division did not fare as well. Its income of $18.2m fell $2m short of expenses. Thank goodness for the Cormack team, who dug up a separate $2.76m for the Victorian cause. The Federal Secretariat had to tip in $2.6m as well. On the bright side, Victorian debt was only $2.2m. That’s $9.7m in Liberal Party debt so far. And a $5.9m loss. By comparison, the South Australian Division presents as a model of fiscal rectitude. Receipts totalled $10.2m against expenses of only $8.5m. As a result, the Division carried debt of a modest $116,000. That’s $9.8m in Liberal Party debt so far but losses pulled back to $4.2m. SA’s largest donor was the Australian Southern Bluefin Tuna (SBT) Industry Association Ltd which contributed $320,000. When I looked, the AEC site would only provide information for these states (maybe it’s working now), but the pattern is clear. Offshore connections, big banks, shadowy foundations and a conga-line of minor, yet substantial, donors, all with their hands out. This is what our democracy has come to. The federal Coalition has come out on top in the donation stakes, with big businesses and wealthy individuals contributing more than $10 million to the party. Most small businesses can’t spare hundreds of thousands of dollars to donate to their preferred political party, as cash flow concerns and rising business costs prevent extraneous expenses. Big businesses, however, were willing contributors to the 2013 election, as corporates gave handouts to the Liberal and Labor parties in the lead up to last year’s election. The Australian Hotels Association and Kerry Packer’s widow, Roslyn Packer, were the biggest donors. Packer donated $580,000 to the Coalition, while the Victorian branch of the AHA donated more than $400,000. Other major donors included Village Roadshow, which donated $315,004, and Pratt Holdings, which donated $250,000. Had the election been judged on donations, rather than votes, the Liberal Party’s landslide victory would have been even more pronounced. The Liberal Party secured more than double the donations of the Labor Party, with the Coalition receiving around $13 million and Labor recording under $5 million. Westfield, Cabcharge Australia, Macquarie Group, Hancock Prospecting, NSW Clubs, Minara Resources and NAB all also contributed upwards of $100,000 to the Liberals. Many of these businesses also contributed smaller amounts to the Labor Party, hedging their bets in case of a surprise victory. Gina Rinehart’s Hancock Prospecting donated over $108,000 to the Coalition, but spent only half of this supporting Labor. Woodside Energy gave approximately $50,000 less to the Labor Party and Macquarie Group donated around $62,000 less to Labor. One outlier in the trend was Inghams Enterprises, which gave both major parties $250,000. While the Labor Party found donations comparatively hard to come by in 2013, it found new support from a Chinese businessman, Huang Changran. Huang donated $150,000 of his own money to the New South Wales Labor Party, while his company Yuhu Group contributed donated a further $100,000. Clive Palmer, despite running in the 2013 election, donated around $42,000 to the Liberal National Party, which he says came from his wife who attended a dinner with Prime Minister Tony Abbott. Despite the major donations from the corporate world, the Coalition government has so far been strict on not supporting businesses in need of a bailout. Last year GM Holden announced it would be closing its manufacturing division in Australia 2017, while in January the Coalition said it would not give SPC Ardmona the $25 million it had been asking for. 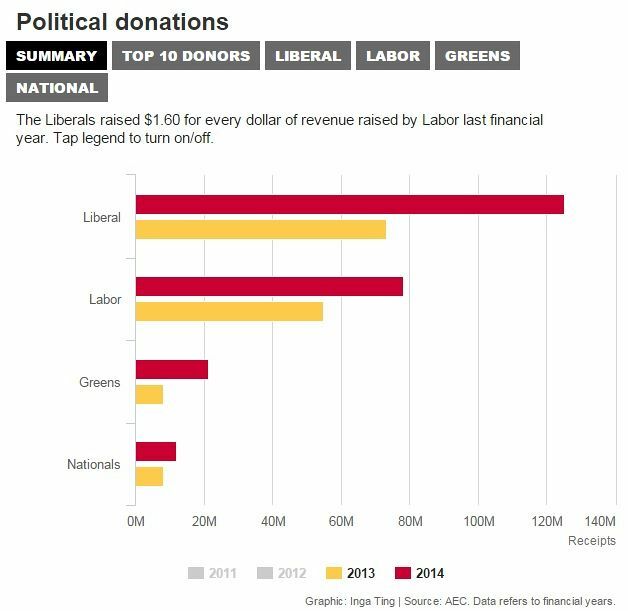 The Australian Electoral Commission has released the declared donations given to political parties in the 2012-13 financial year, with the Liberal Party receiving four times more than the ALP. Search the full dataset to see who gave how much to the parties. Donor rules: Parties are required by law to provide details on all donations above $12,100. IN NEWCASTLE …. was Jeff McCloy the “leader of the pack”? Jeffrey Raymond ‘Jeff’ McCloy is an Australian politician, who was Lord Mayor of Newcastle between 2012 and 2014. He has a degree in Civil Engineering from the University of Newcastle. Before entering politics, he ran his own construction company, which built John Hunter Hospital. In 2008 he won the Hunter Business Chamber 2008 Business Person of the Year, and in 2009 he won the City of Newcastle Medal. McCloy campaigned for the removal the rail line through the centre of Newcastle and, despite being nominally an independent, supported Liberal candidates in the Council ward elections. Polling day in 2012 was marked by controversy when the running mate of an opposing candidate switched sides to support McCloy. Jeffrey Raymond ‘Jeff’ McCloy is an Australian property developer, who was Lord Mayor of Newcastle between 2012 and 2014. He has a degree in Civil Engineering from the University of Newcastle. Before entering politics, he ran his own construction company, which built John Hunter Hospital. In 2008 he won the Hunter Business Chamber 2008 Business Person of the Year, and in 2009 he won the City of Newcastle Medal. In 2012, McCloy met the then Opposition Leader (and future Prime Minister of Australia) Tony Abbott to discuss the future of the Newcastle CBD. In 2013, he held a joint press conference with Abbott and Newcastle victims of the Bali bombings in support of Abbott’s proposed legislation to assist victims of terrorism overseas. McCloy opposed rainbow crossings in support of Gay rights, referring to them as “nonsense”, and used council resources to remove them, despite claims they did not breach any laws. After Lake Macquarie and Cessnock councils expressed support for the rainbow crossings, McCloy attacked Cessnock as a “bloody mess” and threatened to arrange for Lake Macquarie City Council chambers to be “chalked with half a ton of chalk”. McCloy appeared at a hearing of the Independent Commission Against Corruption 14 August 2014 relating to Operation Spicer, an investigation into allegations of corrupt conduct in relation to the 2011 elections in New South Wales. He was recalled to give further evidence on Friday 12 September 2014. Tim Owen, the Liberal member for Newcastle, and Andrew Cornwell, the Liberal member for Charlestown, each admitted accepting amounts of $10,000 from McCloy. As a result, both Owen and Cornwell resigned from parliament on 12 August 2014. On 17 August 2014, McCloy resigned as Lord Mayor of Newcastle, effective immediately. He said his resignation was due to ongoing controversy over his appearance before the Independent Commission Against Corruption, which he said “may effect [sic] the proper functioning” of Newcastle City Council. In 2015, McCloy’s attempts to overturn part of a New South Wales Act of Parliament, enacted to prevent developers from making political donations, were rejected by the High Court of Australia. The case was significant in Australian constitutional law, as it clarified the extent to which the Constitution of Australia provides an implied freedom of political communication, and expanded on the proportionality test developed in Lange v Australian Broadcasting Corporation. In 2016, The NSW Independent Commission Against Corruption released a report on their investigation codenamed Operation Spicer. Operation Spicer was an ‘Investigation into NSW Liberal Party Electoral Funding for the 2011 State Election Campaign and Other Matters’. In 2011, Jeff McCloy, as a property developer, was a banned donor to parties and candidates in state elections as state governments have jurisdiction over land appropriations etc. in Australia. McCloy not only made political donations, he made so many large cash payments to Members of Parliament that he referred to himself in the Independent Commission Against Corruption hearings as a ‘Walking ATM’. The NSW Independent Commission Against Corruption sought to prove that Jeff McCloy intentionally made covert payments to state government election candidates and that McCloy was aware that his donations were illegal because of his ‘developer’ status. It was reported by the Sydney Morning Herald that Cardiff vet Andrew Cornwell was in the middle of an operation on a dog when he was summoned outside by McCloy. McCloy handed Cornwell $10,000 in cash, cash that was later used to fund Cornwell’s state parliament election campaign. On 30 August 2016, the Newcastle Herald reported that MCloy called Independent Commission Against Corruption ‘A $20m waste of time’. 47% of Fairfax’s online respondents agreed with McCloy’s view. McCloy described the factual findings against him as ‘a parking fine, a speeding fine’. Listed in the ‘Principal Factual Findings made by the NSW Independent Commission Against Corruption in regards to Operation Spicer are the below references to Jeff McCloy. Quote page 20 of the commission’s report: “In about February 2011, Jeffrey McCloy gave Hugh Thomson $10,000 in cash as a political donation to fund Mr Owen’s 2011 election campaign for the seat of Newcastle with the intention of evading the Election Funding Act laws relating to the ban on the making of political donations by property developers and the applicable cap on political donations. Quote page 21 of the commission’s report: Mr Owen, Mr Thompson, Mr Grugeon and Mr McCloy were parties to an arrangement whereby payments totalling $19,875 made to Mr Grant for his work on Mr Owen’s 2011 election campaign were falsely attributed to services allegedly provided to companies operated by Mr McCloy and Mr Grugeon. Jeff McCloy and McCloy Group has ongoing commercial development concerns within the Newcastle State seat locality, including ‘City Exchange’ and ‘Telstra Civic’. Both sites will benefit significantly from the highly controversial Newcastle Transport Interchange and Light Rail due for completion in 2019, a major infrastructure project implemented by the NSW Liberal state government. McCloy Group’s ‘City Exchange’ is tenanted by a gym owned by Wests Group. Wests Group are a not-for-profit gambling entity that, according to its 2017 Annual Report‘, made $143m in revenue in the year ending January 2017. As a group whose business interests are primarily involved in gambling, Wests Group are an illegal donor to political candidates in NSW, and as Lord Mayor of Newcastle and proprietor of McCloy group, incomes from Wests Group to Jeff McCloy or McCloy Group are considered indirect political donations. Relative to the highly controversial Newcastle Interchange, McCloy bought the Blackwoods property at Hannell St, Wickham in December 2006, the former Hunter Water headquarters at 591 Hunter Street in October 2007 (since subdivided, with the 591-address property sold and the 593-601 address retaining its heritage exterior), and a half shareholding of 356 Hunter Street in 2009. 591 Hunter Street and 356 Hunter Street are multi-block buildings that are on the Light Rail route, planned for completion in 2019. The Newcastle Herald reported that in late 2007, McCloy bought the former Toymasters building at 615 Hunter Street, which was sold by McCloy in 2009. As of December 2017, 615 Hunter Street is tenanted by the NSW Department of Family and Community Services. The address 615 Hunter Street Newcastle West is on the Light Rail route. Also in late 2007, McCloy bought ‘the former Churchills building’ at 633 Hunter Street Newcastle West, which he sold in February 2015. In 2008, McCloy bought The Lucky Country Hotel, now known as The Lucky, which was one of only two of his Hunter Street purchases that saw development under his tenure. Over a ten year spending spree which included Hunter Street properties plus other holdings (a commercial property in Brown Street, a stately ‘town’ home in Church Street and Bolton Street’s ‘Legacy House’ (now demolished and replaced with apartments) McCloy claims to have suffered $15.7 million in losses. Jump up^Nicholls, Sean; Gordon, Jason (2014-08-17). “Newcastle mayor Jeff McCloy quits before being pushed”. Sydney Morning Herald. Retrieved 2014-08-18. Jump up^“Former lord mayor Jeff McCloy loses High Court bid to overturn developer donation ban”. ABC News. 2015-10-07. Retrieved 2016-06-12. Jump up^“McCloy v New South Wales  HCA 34”. High Court of Australia. 2015-10-07. Retrieved 2016-06-12. Jump up^Twomey, Anne (2015-10-13). “Proportionality and the Constitution: Prof Anne Twomey”. Australian Law Reform Commission. Retrieved 2016-06-12. Jump up^“ICAC Report August 2016: Investigation into NSW Liberal Party Electoral Funding for the 2011 State Election Campaign and Other Matters”. www.icac.nsw.gov.au. August 2016. Retrieved 2017-12-28. Jump up^“SMH ‘Corridors of Corruption'”. The Sydney Morning Herald. 2014-08-16. Retrieved 2017-12-28. Jump up^“ICAC a $20m waste of time – McCloy”. The Newcastle Herald. 2016-08-30. Retrieved 2017-12-28. Jump up^“Wests Group Annual Report Jan 2017” (PDF). westsnewcastle.com.au. Retrieved 2017-12-28. ^ Jump up to:ab c “McCloy lays property interests on the table”. The Newcastle Herald. 2015-03-06. Retrieved 2017-12-28. Jump up^“McCloy lays property interests on the table”. The Newcastle Herald. 6 March 2015. Retrieved 2017-12-28. Jump up^Kirkwood, Ian. “McCloy lays property interests on the table”. The Newcastle Herald. Retrieved 2017-12-28. 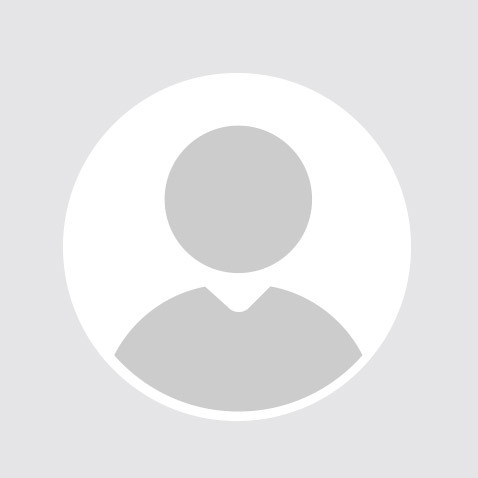 This page was last edited on 12 July 2018, at 20:15 (UTC). THE Hunter’s political landscape has taken another dramatic turn with Newcastle lord mayor Jeff McCloy resigning. The lord mayor sent an official letter of resignation to Newcastle council general manager Ken Gouldthorp on Sunday after a week of intense pressure produced by the state corruption inquiry. His resignation follows that of state Liberal MPs Tim Owen and Andrew Cornwell, and a move to the crossbenches by Swansea MP Garry Edwards over donations made to their 2011 election campaigns by the millionaire developer. The Newcastle Herald can reveal that Mr McCloy has decided not to step aside from his role, but resign entirely, effective immediately, meaning the city’s residents will now be heading to the polls three times in the next seven months. In his letter of resignation, Mr McCloy said the controversy surrounding donations he made to the 2011 election campaign ‘‘may affect the proper functioning’’ of the council. ‘‘I believe that I am leaving the city in much better shape financially and physically than it was when I started,’’ he said. ‘‘I would like to personally thank the general manager and staff of Newcastle City Council and the thousands of Novocastrians who supported change in our city. ‘‘It has been a privilege serving the people of Newcastle, but now I will leave this to others. ‘‘I encourage the elected council to continue focusing on local issues of significance for the Newcastle community and the progression of our city,’’ he said. The move means that the city’s deputy lord mayor, Liberal Brad Luke, will take over the mayoral reins until a byelection is held. The Local Government Act requires that a fresh lord mayoral election be held because the position has been vacated more than 18months out from the next scheduled council election. Local Government Minister Paul Toole will be required to stage the election within three months. Mr McCloy’s move also follows news on Friday that Minister Toole was seeking legal avenues to remove the lord mayor after he admitted breaking political donations laws when he appeared before the Independent Commission Against Corruption on Thursday. Then, Mr McCloy admitted to donating $9975 to the campaign of Newcastle Liberal Tim Owen, and $10,000 in cash to Charlestown Liberal Andrew Cornwell. He also admitted to taking ‘‘about $1500’’ from his wallet and giving it to then-Liberal candidate for Swansea Garry Edwards, and writing a further cheque for $10,000 which was allegedly used to pay the wages of Liberal staffers running the Newcastle campaign. Premier Mike Baird had also called on Mr McCloy to ‘‘do the honourable thing and resign’’ or face being removed from office by the beginning of next month. General manager Ken Gouldthorp released a statement on Monday confirming it would be business as usual but the city would miss Mr McCloy’s leadership. “Our focus remains on supporting the local community with the full range of council services,” he said. Mr McCloy spent Sunday with his family and said he would not be making any further comment because the corruption inquiry was still proceeding, and he wanted the council to be spared from any more political turmoil. Mr McCloy is due to travel overseas tomorrow on a long-planned two-week family holiday. The Herald understands that Mr McCloy will continue with a High Court bid to overturn the laws which prevent him being a political donor. The controversy surrounding donations I made in the lead-up to the 2011 NSW elections may affect the proper functioning of Newcastle City Council. I, therefore, tender my resignation as lord mayor of Newcastle, effective immediately. I believe that I am leaving the city in much better shape financially and physically than it was when I started. I would like to personally thank the general manager and staff of Newcastle City Council and the thousands of Novocastrians who supported change in our city. It has been a privilege serving the people of Newcastle, but now I will leave this to others. I encourage the elected council to continue focusing on local issues of significance for the Newcastle community and the progression of the city. A LARGE roadblock has cleared for the state’s corruption watchdog to release long-awaited findings of its inquiry into secret donations to Hunter Liberal MPs, with the High Court rejecting Jeff McCloy’s challenge to NSW election funding laws. Former Newcastle lord mayor Jeff McCloy leaves the Independent Commission Against Corruption after giving evidence last year. In a decision handed down on Wednesday, the court upheld the state’s ban on property developers making donations and caps on the amount of money that can be given for state campaigns, finding the measures limited political communication but did so for legitimate anti-corruption purposes. The ruling was greeted by many as “good news for democracy” and sparked renewed calls for sweeping federal election funding reform and for the caps to be extended to local government. But it is a major and expensive defeat for Mr McCloy. Had he won, the laws would have been declared invalid, forcing the Independent Commission Against Corruption to abandon any findings it may possibly make against him over his secret support for Hunter Liberal candidates in the lead up to 2011 state election. Instead, the former Newcastle lord mayor will have to pin his hopes on a separate Supreme Court push to prevent ICAC releasing its report, and in the meantime pick up a bill for legal fees of about $2 million. He insisted on Wednesday he “wasn’t dirty on the world” and would move on. Mr McCloy, who was in Queensland when the verdict was delivered, told the Newcastle Herald it “still beggars belief that some citizens of NSW aren’t allowed the same political rights as others” but he’d accept the High Court’s decision. “I undertook this court case as I felt it was important to question the current law,” he said. “I believe that anyone, regardless of his or her position, should be entitled to participate in the democratic process. Mr McCloy launched the challenge against the State of NSW in July last year, a month ahead of his appearance before the ICAC’s Operation Spicer. During that inquiry, Mr McCloy admitted to giving envelopes stuffed with $10,000 cash to then Liberal Newcastle and Charlestown candidates Tim Owen and Andrew Cornwell. He also gave at least $1500 to Swansea candidate Garry Edwards, and helped pay the wages of Mr Owen’s media manager. All three were elected to Parliament, but were forced to resign or move to the cross bench over the revelations. Mr McCloy’s legal team argued in the High Court that the donation caps of $5000 to a party or $2000 to a candidate, the developer ban, and a ban on “in kind” support for campaigns, were an impermissible burden on the implied freedom of political communication in the constitution. This was because they removed his access to candidates and parties and ability to influence the political process that could be gained from making large donations – an argument Justice Stephen Gageler labelled “as perceptive as it is brazen”. The court unanimously upheld the caps and indirect contributions ban, finding the provisions enhanced the system of representative government. By a majority, it endorsed the developer ban as in the public interest of removing the risk and perception of corruption, noting a history in New South Wales of corruption involving developers and the role of the state government in making planning decisions that could serve their commercial interests. The architect of the developer ban, Nathan Rees, who was rolled as Labor premier soon after introducing it in 2009, said he was delighted with the decision. “Public confidence in our political system is not negotiable, ” Mr Rees said. University of Sydney Professor of Constitutional Law Anne Twomey said Mr McCloy’s challenge could have brought down “the entire edifice” of NSW’s electoral funding system. But the “reassuring” ruling meant there was “not an excuse any more” for other governments not to implement tighter electoral funding laws because of concerns that they may be unconstitutional. Premier Mike Baird said the decision opened the way for consideration of national reforms to political donations. The Greens urged Prime Minister Malcolm Turnbull to support a federal ban on donations from certain industries. “A federally-legislated ban on political donations from developers, tobacco, alcohol, gambling and mining industries, which are perceived as having an inappropriate influence on decision makers, would help clean up politics,” Greens Senator Lee Rhiannon said. NSW Labor leader Luke Foley said the caps on state donations and campaign spending should be immediately extended to local government elections. “It defies logic that Mike Baird and I can run for office and be subject to strict caps, while at the same time you can run for a ward of a suburban council without any limits on what you can raise and spend,” Mr Foley said. Lake Macquarie independent MP Greg Piper said the decision was a good outcome for the public. “While I respect Mr McCloy’s right to challenge the law that excludes developers from making political donations, I place more importance on the right of the public to have confidence in the integrity of the system,” he said. All but one of the seven High Court justices ruled that Mr McCloy and his companies pick up the legal bill. Mr McCloy’s own costs are estimated at close to $1 million, while those incurred by the State of NSW are estimated to be about the same. Mr McCloy confirmed that his Supreme Court challenge against the ICAC conduct of Operation Spicer, and in particular the alleged bias of Commissioner Megan Latham, would proceed. It is listed for hearing in mid November. ICAC’s Operation Spicer revealed that developer Jeff McCloy made cash donations to the campaigns of three state Liberal candidates, and to two Liberal party campaign managers. NSW laws prevent developers from making political donations to state candidates. McCloy launched a High Court challenge to the state ban on developer donations, and to the cap on donation amounts which are entirely legal at local government and federal elections. The McCloy challenge was among several which have prevented the ICAC from releasing its Operation Spicer findings because, if it was successful, ICAC would have to abandon any findings against McCloy and the likes of Tim Owen, Andrew Cornwell and Garry Edwards. The High Court has now dismissed the McCloy challenge, upholding the state’s current political donations laws. ICAC’s final Operation Spicer report is now a step closer to public release, but among its remaining hurdles is a Supreme Court challenge from McCloy. McCloy’s Supreme Court claim questions the impartiality of the ICAC and the alleged bias of its commissioner Megan Latham. It is set down for a November hearing.